Garcia Pimienta’s side couldn’t beat Ejea (1-0) in a game in which they dominated but were hampered by a lack of good opportunities. A goal from De Mesa in the first half (min. 18) handed the Aragoneses victory, meaning that Barça B’s record of eight consecutive matches without losing was broken. The match began with the Blaugranes controlling possession, however, the high pressure of the Aragoneses prevented them from scoring. De Mesa (min 18) grabbed what proved to be the winner, but despite the goal, Barça continued to dominate the ball. Carles Pérez had a powerful shot that crashed into the post, and thereafter, tactical discipline and the forcefulness in defence of the rivals stifled further attempts. A midfield battle where both teams cancelled each other out meant that chances were at a premium. As the duel came to the end, Barça B put their foot on the gas again, but the hosts defence continued to frustrate their attack. The result leaves Barça in sixth with 32 points from 21 matches. Ejea: Loscos, Lucho, Mingotes, Garcés, Kevin, Moustapha, Valero, Julio, Ramón (Mainz, min. 70), De Mesa and Suárez. 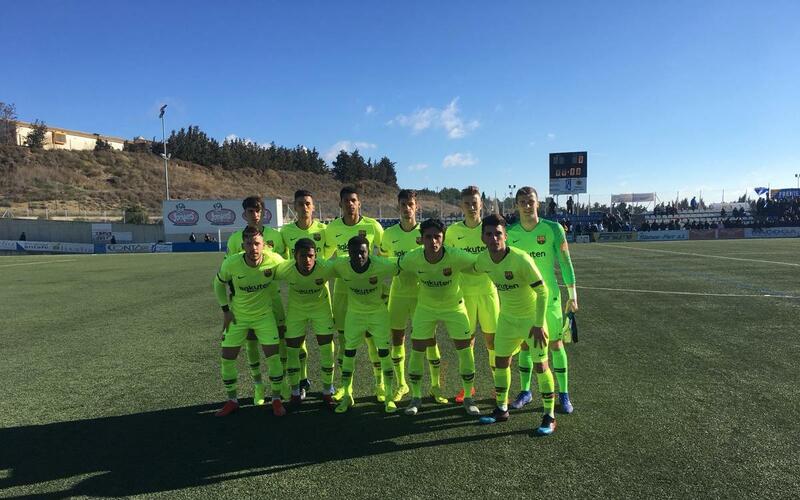 Barça B: Iñaki Peña, Wague, Araujo, Chumi, Vilarrasa, O. Busquets, Carles Pérez, McGuane (Riqui Puig, min. 65), Marqués (Mujica, min 61), Monchu (Ballou, min 76) and Collado. Goals: 1-0, De Mesa (min 18). Referee: Gorka Mazo Maruri. Yellow card for Monchu (min 34), Moustapha (min 39), Garcés (min 73), Wagué (min 81) and Julio (min 86).